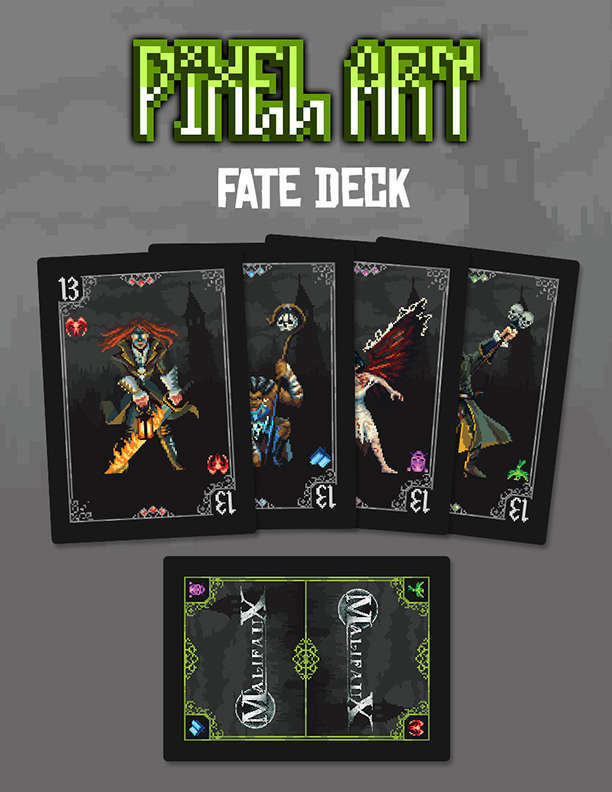 Take a trip down nostalgia lane to travel back in time to when the greatest in graphical technology was 16-bit sprites with the Malifaux Pixel Deck! This Fate Deck was a fan-created project from one of our fantastic artists within Wyrd's community. Thanks, Milos Kostic!